December bloghop.You are welcome to submit any of the following – flash fiction, poetry, non-fiction or playscripts to a word count of 1,000 words – artwork and photographs accompanied by your written inspiration in creating your work/s. ..
‘Tell me again why we are hosting Christmas with all your family.’ Dan’s arms were folded across his chest; his legs apart, his feet firmly placed on the ground. His stance was as aggressive as I’ve ever known him. ‘Well,’ I began looking at his angry face. The scowl was ferocious, his eyes glittering hard with anger. ‘What do you want to do instead?’ I’d put the ball firmly back in his court. I didn't have to explain it again to him. Every year was the same, all the family came to us, we cooked the big dinner with all the trimmings, we pulled crackers, wore the silly hats, told the silly jokes out of the crackers, drank the wine, cleared up and then distributed the presents from under the tree to the recipients. Then we had a cup of tea and then we started all over again with laying the table ready for high tea. I was fed up with this argument every year. Christmas was traditional. Family came over and then they went home after eating all our food and drinking all our booze. ‘We could go away.’ The stance was still there but his eyes had relaxed a little bit. I nodded. I looked at the pain in his eyes. One day I would give in and do what he wanted. One day it would be too late to have a traditional Christmas. One day we would be on our own when the kids wouldn’t want to come round and we’d have to go to their houses. One day out of 365 days. One day of the year that everybody’s hopes were high, emotions became fraught with cooking turkeys, pigs in blankets, roast potatoes, vegetables, chestnut stuffing, sausage stuffing, vegetables, roast beef, two gravy boats and feeling stuffed then forcing down Christmas pudding or sherry trifle, cheese and biscuits on offer, coffee and mints or a liqueur to round off the meal. ‘Scotland maybe or a luxury cruise,’ Dan wouldn’t let it go. ‘A winter wonderland, snow in the Highlands, roaring log fires. It would be good for us.’ He wasn't going to plead but he would make it seem romantic. I tried to stifle my laughter. I had a vision of Dan in a kilt, Dan trying to play the bagpipes, Dan eating haggis (yuk). I could probably enjoy it. In fact I know I would enjoy it if I could get rid of the guilt feelings of leaving my family over the festive period. ‘We could take in New Year as well. That would be a sight to see, New Year’s Eve in Scotland. What do you say, darling?’ Dan opened his arms and held out his hands, palms up, inviting me in to his body. I went willingly enough. We embraced with all the love we had for each other. I disengaged myself from his arms and walked into the kitchen. I started opening cupboards, gathering up flour, sugar and mincemeat to make mince pies. From the corner of my eye I saw him begin to relax. Christmas day came, the sun shone brightly, there was a nip in the air but no snow. Dan and I worked hard all morning, shoving the turkey in the oven, peeling potatoes ready for roasting, peeling and chopping vegetables and putting the Christmas pudding on to steam for a good four or five hours. Midday the first flurry of guests arrived. Coats were taken and hung, kisses exchanged, drinks in hands and conversation started to flow as the excited kids told grandparents what they had received in their stockings. Food and drink was consumed, dishes cleared, wrapping paper littered the lounge floor. A deep sigh of relief could be felt in the room. No arguments, no presents disliked, all the kids behaved as did the grown-ups. High tea, gammon, salad, cold meats, pickles, salad, cheese board, chocolate blancmange rabbits, mince pies, sausage rolls and more alcohol passed everybody’s lips. Paper plates, plastic cutlery thrown away, a nice easy meal to clear up. Sitting around the cleared dining room table the cards came out, Uno was played and enjoyed with some entering into the competitive spirit of the game more so than others. The little ones tried to play with a lot of help from the adults. Eventually the couples began to leave, thanks were given for a lovely time, the house emptied and Dan and I were left on our own. ‘I thought that went very well. One of the best Christmas day’s we’ve had so far.’ I grinned at Dan as I tried to cuddle him. His body was stiff with contained rage. Dan harrumphed and started turning all the lights out and making the house secure. Another year over, another traditional Christmas saved. So next year might be different for us, I hadn't forgotten my promise to Dan. Next year we would start some new traditions just for ourselves. Hey Sally I love this. You bring out the conflict felt by many about the toll Christmas preparations can have on us. Dan would approve of my husband planning this holiday we're on ~ miss 2 children's birthdays and Christmas and New Year...we'll have a lot of making up to do when we get home. Thanks for your insightful and entertaining story for the fest.Sally. Me too, what did the mother say? Made me think of our Christmases now. Kids no longer at home, but it's the one time we might all be together so we take it year by year. One year we went off to France, this one we're all going to be in North Carolina! Can't wait to see them, it's been too long! Me three! Seriously what did she say? This is such a lovely story, so evocative and filled with all the joys and potential pitfalls of a family holiday. And all that food talk has me dribbling. 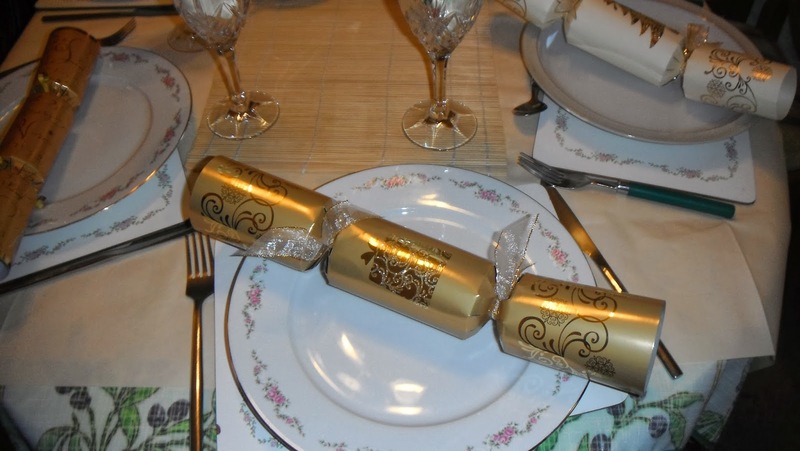 Role on Christmas lunch. Thanks for sharing Sally, and Merry Christmas. Great story, I know how she felt - just one day of family and being together - overlooking all and moving forward! Loved it! My hubby's the same way. I'm the traditionalist - the Christmas junkie! Wishing you a very lovely holiday season! Dang, I was hoping to know what her mother said :) A lovely story Sally. 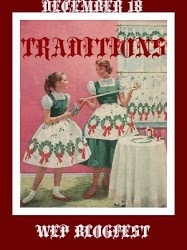 But, sometimes its good to make new traditions. Hope they do go to Scotland for the next! Great story, and rings true, traditions have their price. Happy New Year! I can only imagine what the mother said! No wonder Christmas always seemed so much magical as a child. All the celebrating without the self-induced dramatics of adults. What a nice story. I bet that her mother will have a lot to say about them being gone next year. Hope that you had a great Christmas, and Happy 2014 to you! Oh boy, family holidays can certainly be complicated! Nice piece. I hope you get to watch loads of tennis!